The Scholarship Program of the Japanese Cultural Society of Maui is an academic and cultural scholarship awarded to graduating High School seniors who are pursuing further education with a record of involvement in promoting and perpetuating the Japanese culture, and a desire to continue to do so. The selection and number of scholars are vetted by the JCSM Scholarship Committee and approved by its Board of Directors. 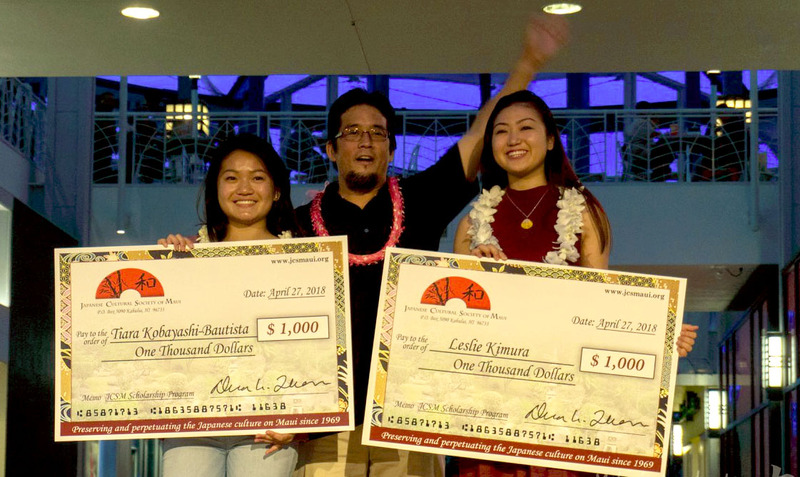 The scholarship is funded by various fundraising programs such as the Maui Matsuri Shave Ice and Soda booth. The deadline to apply for the 2019 Scholarship Program is March 30, 2019 at 11:59 p.m. No extensions. The applicant must be a resident of the island of Maui. The applicant must be scheduled to graduate in 2019 from a high school on Maui with a minimum GPA of 2.0. The applicant must complete the Scholarship Program Application Form and submit all the requirements by the deadline. 50 points – ESSAY. Interest, desire and explanation in perpetuating the Japanese culture based on the application questions. 30 points – INVOLVEMENT in Japanese culture promotion such as extracurricular events in school or community activities. 10 points – RECOMMENDATION. At least 1 letter of recommendation from a non-relative explaining the applicant’s character and potential. 10 points – FINANCIAL NEED.